New event! Battle of Nations! What is the BATTLE OF NATIONS? Only in June! 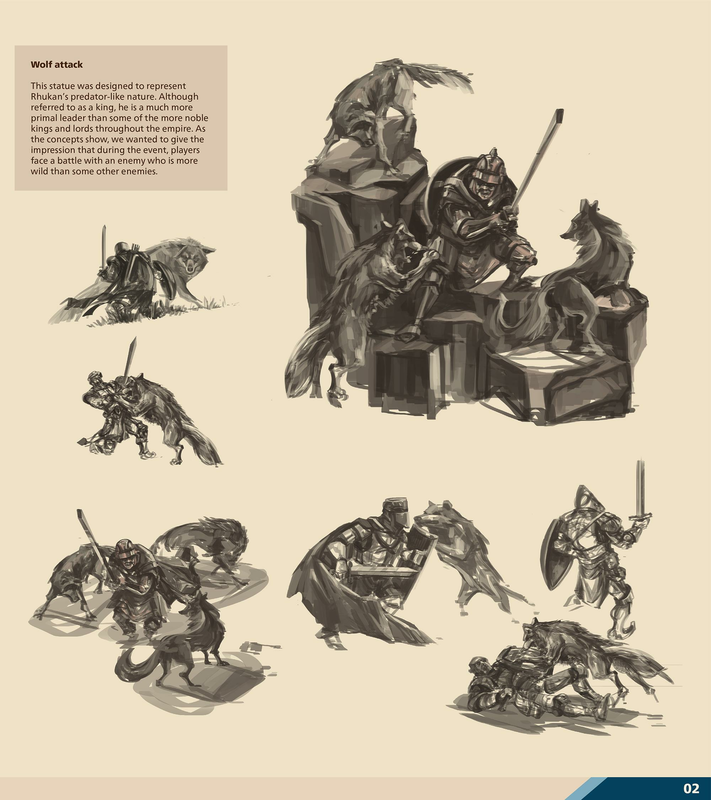 Battle of Nations is an additional event to the Festival of the Lotus King where you should brawl with Foreign invaders, Bloodcrows, Samurais and Nomads to win even more rewards! 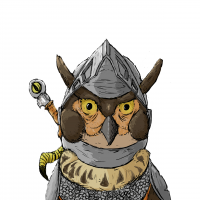 But remember to fight shoulder to shoulder with the lords and ladies from your server in order to get better prizes. After one of the Invasion events ends you will get an additional reward for the Battle of Nations considering the placement of your server in the invasion ranking. The placement of your server in the invasions ranking will be calculated as an average of the points collected by the most active half of the players of your server, that will then be compared with the other servers. This calculation was defined as proved to be the most balanced one considering servers of many different size and avoiding an unfair challenge. In short: Your server will compete with all the other servers! So, fight side by side with your server mates to prevail and be on top of the Empire universe! What and how can I win? There will be three types of rewards you can get competing with other servers: bronze, silver and gold. Each server will get at least the bronze prize. If your server was strong enough to reach the predefined milestone, each player of this server will get silver rewards. If your server finishes one of the Invasions among the 3 best performing ones, each player of your server will get a gold prize. You can win one of the rewards above after every Invasion. Note: If the event ends during a weekend we won’t be able to send the rewards on the same day and all rewards will be granted on the closest Monday in this case. We will share all possible rewards and silver milestone on our forum as soon as the event starts. You will be able to find the ranking of top servers on the forum the day after every invasion ends. At the end of the whole Battle of Nations, every participant will get a unique decoration (200 PO) with the initials of the winner. The winning server deserves an even better decoration with 300 PO also showing initials of this server. Why do we have to fight at all? It is very simple, your king needs you! 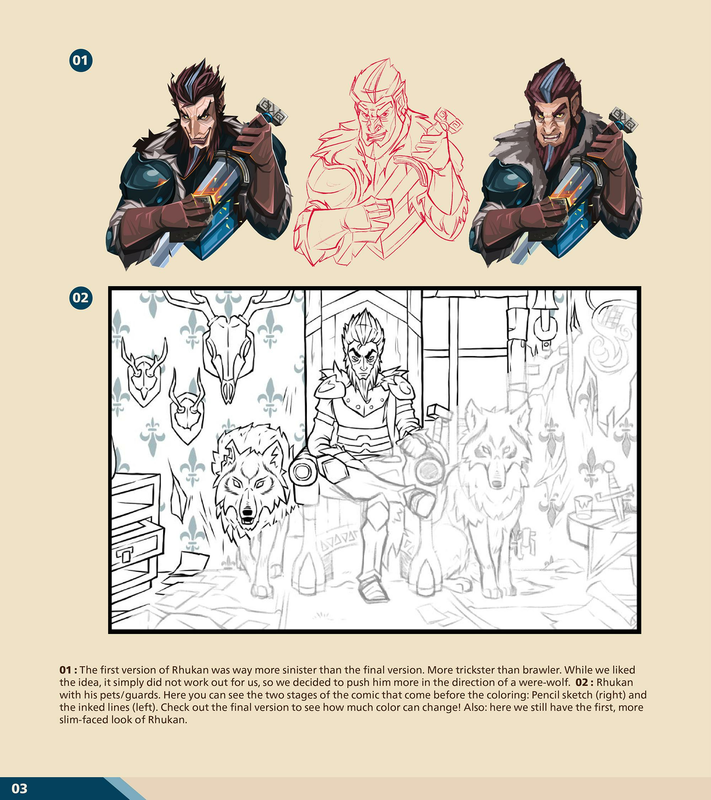 As you already know, King Eric the Artisan came back to claim his rightful throne but not everyone in the empire is happy about it, especially not our untouchable emperor! Before the BATTLE OF NATIONS could start we gathered secret information about a conspiracy against our king, you can read this for yourself on our Facebook page. 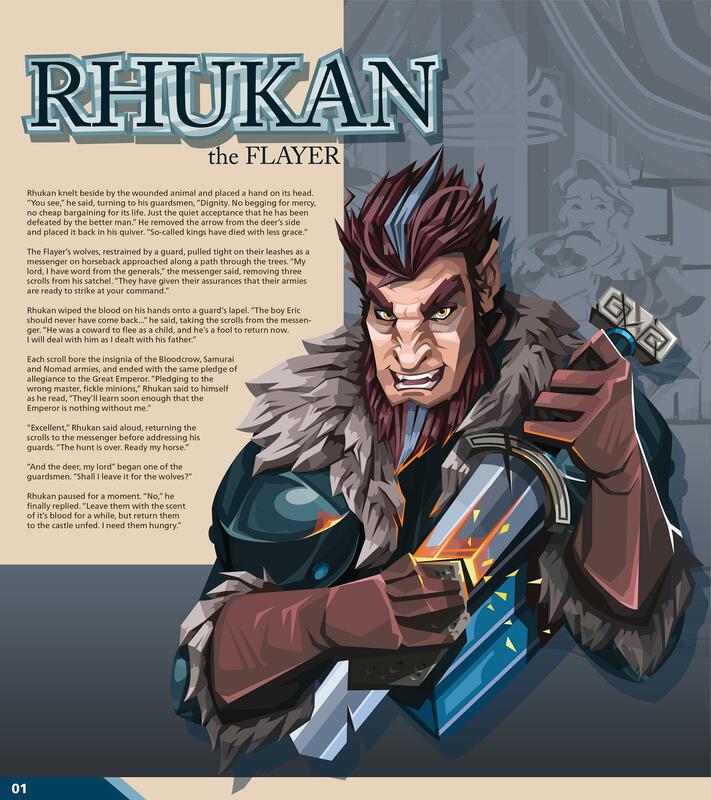 I want more background info! Alright, here you go. But after that, grab your sword and fight the BATTLE OF NATIONS, you bookworm! 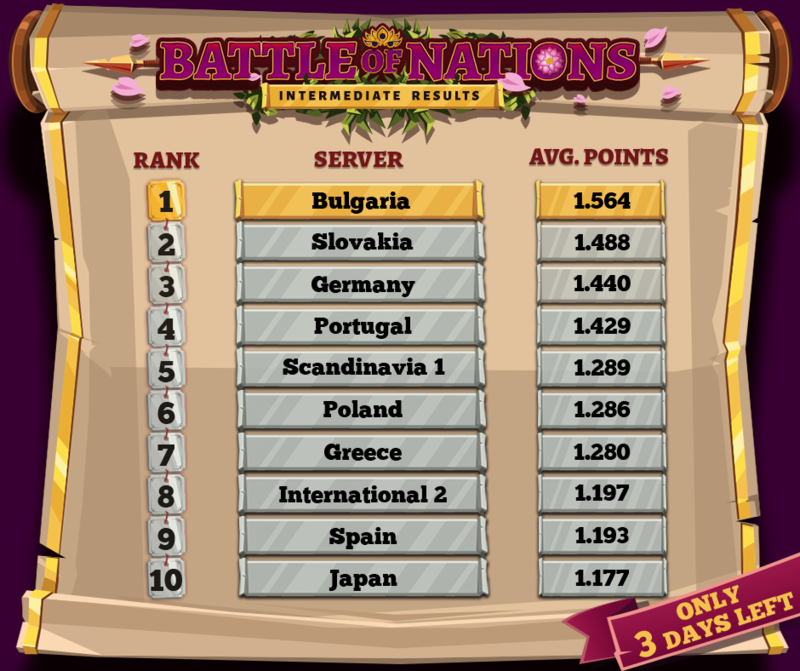 Here you can see the possible rewards for the Invasion events in the BATTLE OF NATIONS. Every player on the server will get one of these rewards. What reward you will get depends on your overall server effort. Every point counts! The threshold for the Silver reward is 200,000 average points collected by the highest scoring half of the players of your server. The best three performing servers will get the Gold rewards. The threshold for the Silver reward is 5,000 average glory points collected by the highest scoring half of the players of your server. The best three performing servers will get the Gold rewards. Reminder: The placement of your server in the invasions ranking will be calculated as an average of the points collected by the highest scoring half of the players of your server, that average will then be compared with every other servers. This calculation was defined in this way as it proved to be the most balanced one considering servers of many different size and, thus, avoiding an unfair challenge. Here is the Ranking overview of the top performing servers in the War of Realms event. Our congratulations to the warriors from International 2 that earned the 1st position in this first Battle. Here is the Ranking overview of the top performing servers in the Nomad Invasion event. Our congratulations to the warriors from Greece that earned the 1st position in this second Battle. 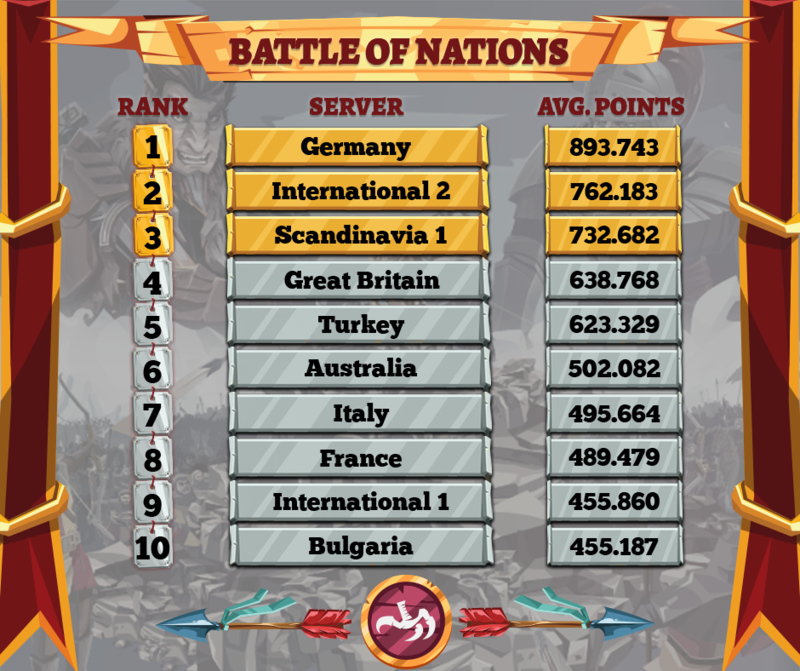 Here is the Ranking overview of the top performing servers in the War of the Bloodcrows event. Our congratulations to the warriors from Germany that earned the 1st position in third Battle. Here's the Ranking overview of how the different servers are performing in the Battle Of Nations event. Our congratulations to the warriors from Bulgaria that are currently leading the Battle of Nations! 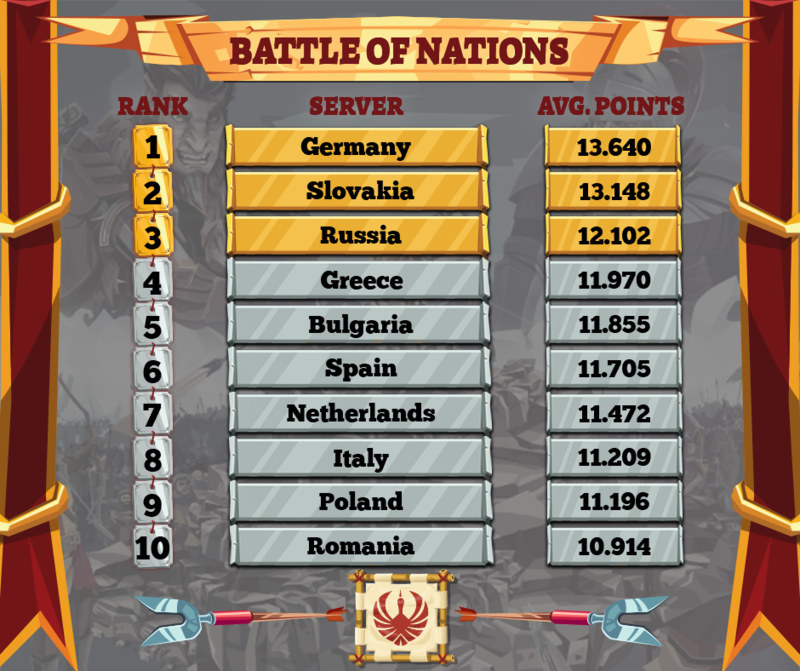 DISCLAIMER: The scores of the Battle of Nations ranking are calculated on the points earned during the long term point event. For this reason they might differ from the individual event rankings previously posted. 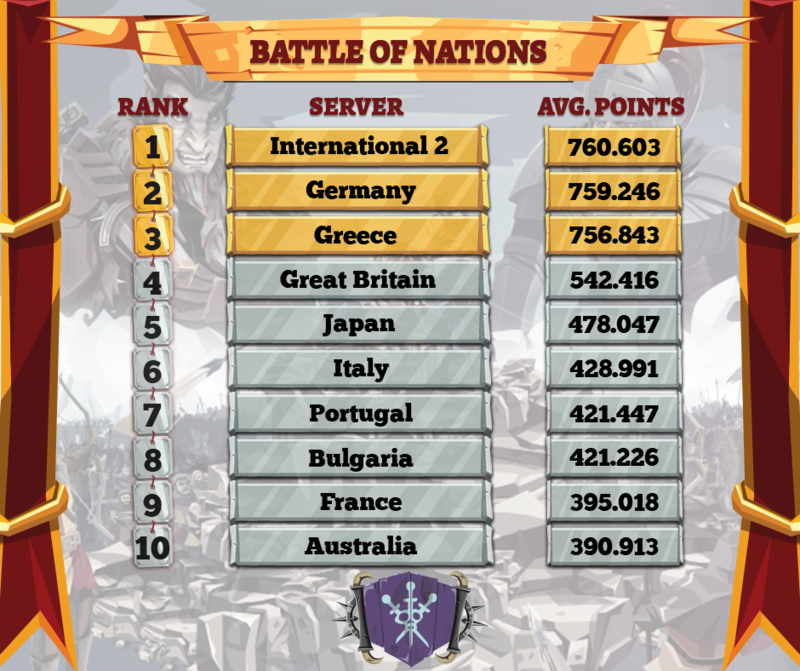 Here is the Ranking overview of the top performing servers in the Samurai invasion event. Our congratulations to the warriors from Germany that earned the 1st position in fourth Battle. 9 Days left to know which nation will have their name carved in everyone's #BoN decoration! 9 days to make history, to bring glory and honor to your server! This is not the time to give up, only a few invasions left to earn an epic achievement, one that the bards and storytellers of the whole empire will sing about for centuries! Our congratulations to the warriors from Slovakia that earned the 1st position in this 5th Battle. 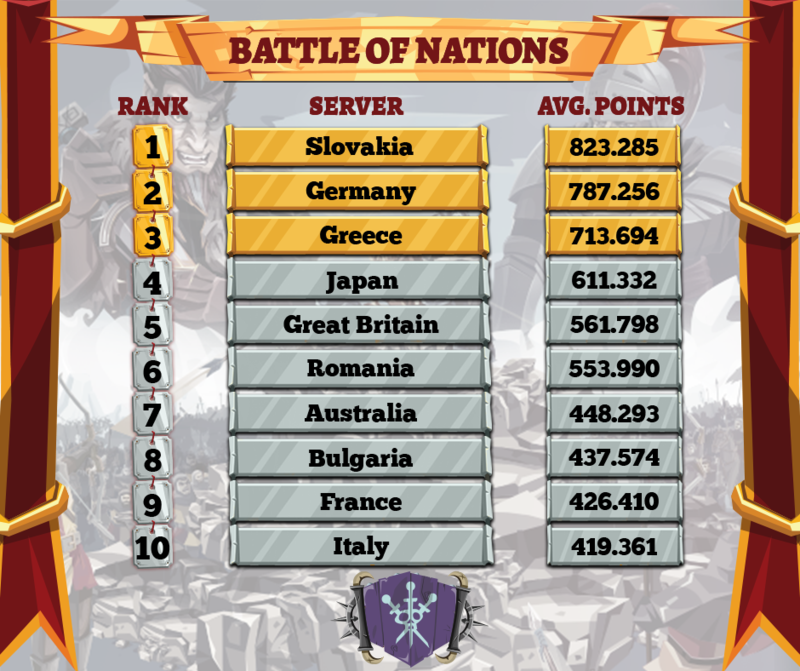 Our congratulations to the knights from Slovakia that earned the 1st position in this 6th Battle. ONLY ONE BATTLE LEFT! SHOW YOUR POWER! Only 3 days of battlefields flooded with the blood and burnt castles left! 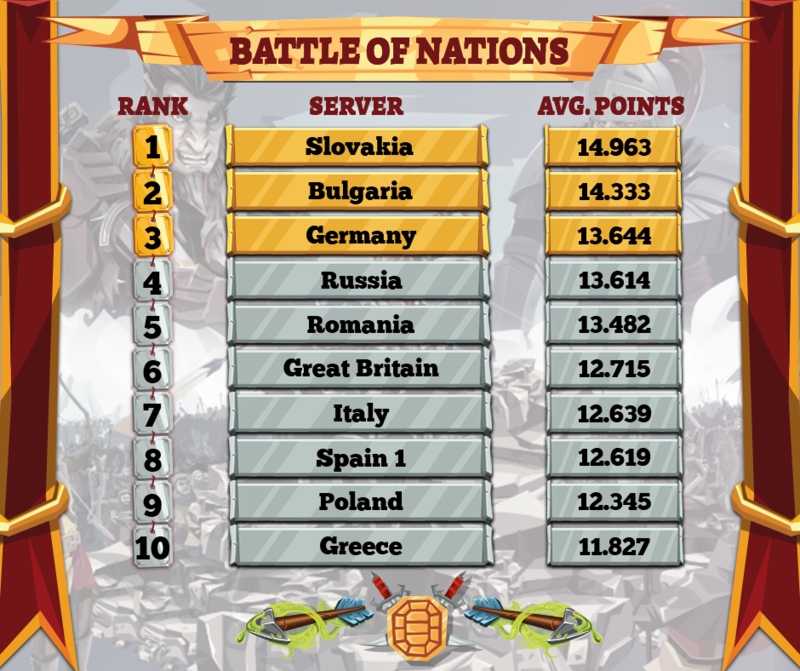 You still have a chance to make a change to the ranking table and bring your Nation to the glorious 1st place position! 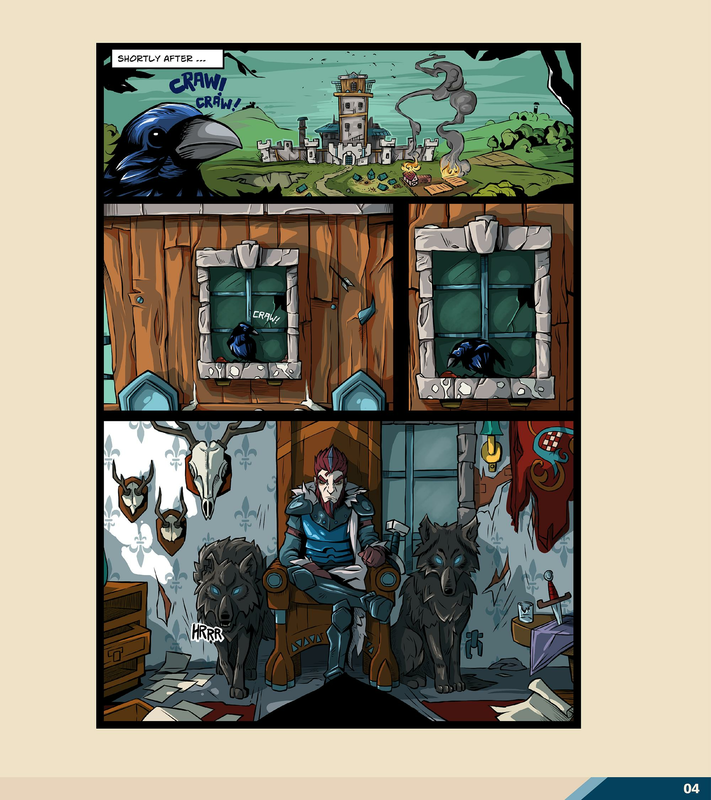 Bloodcrow enemies will regret appearing outside your castles this time! Last chance to make a difference. Last chance to show your power to all Nations. Last chance to leave your name on the glorious Decoration. Last chance to support King Eric in his brave mission. For King Eric, folks, for King Eric! The battle is over and the Empire is safe once again! On behalf of King Eric: Thank you so much for your bravery and endurance! 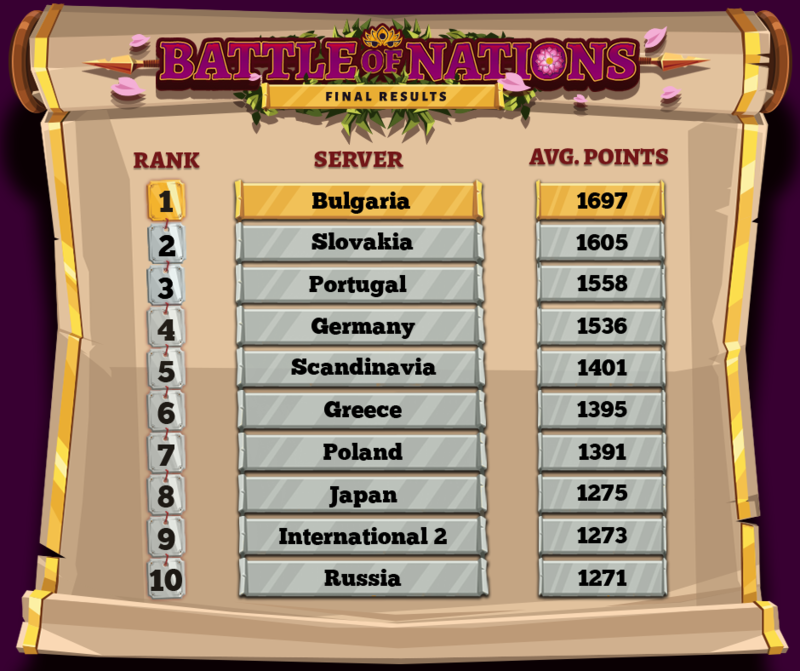 Shout out to our Bulgarian players who have fought their way to the very top and earned the 1st prize! We will have a proper celebration ceremony for our Bulgarians later this week! Stay tuned for more!